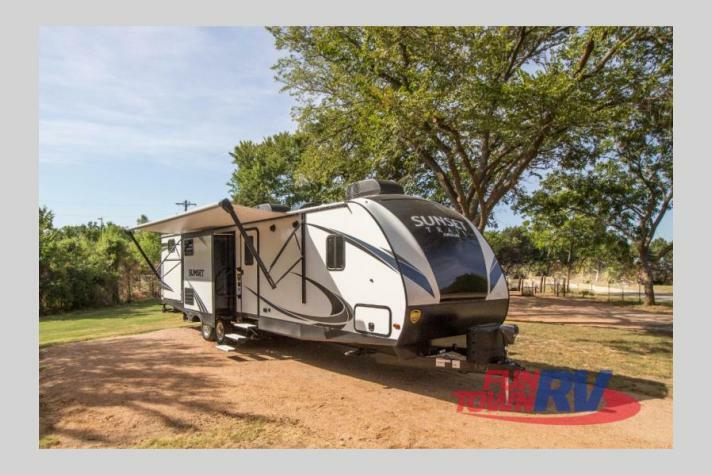 The CrossRoads RV Sunset Trail travel trailer is an awesome travel trailer that is incredibly versatile and comes in a wide variety of floorplans that you will love. 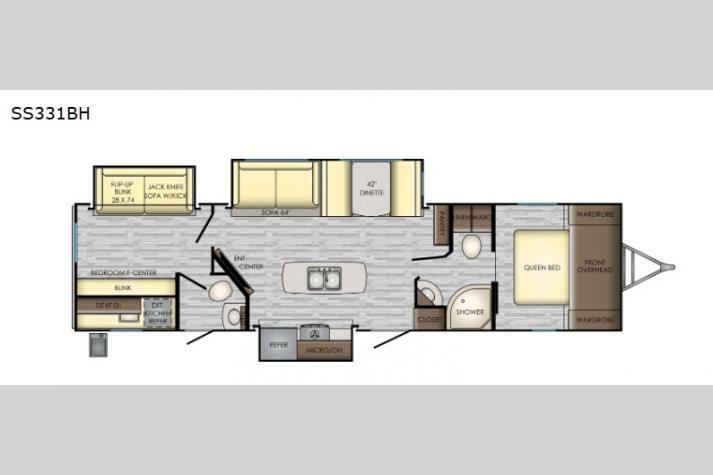 With sleeping quarters for up to eight people, depending on the model, this travel trailer is large enough for the entire family to enjoy. 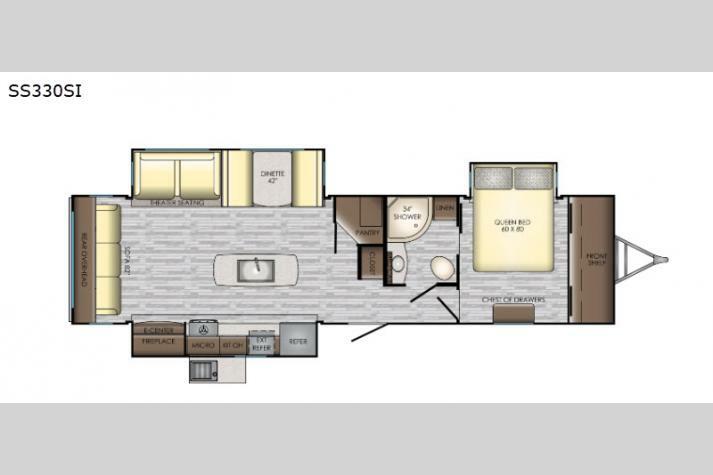 And, with a door both to the rear living area and into the bedroom, you will have added privacy and access that you just won't find in many travel trailers. 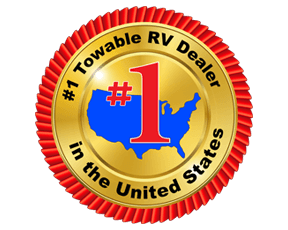 If you are interested in seeing more, check out our complete inventory below.